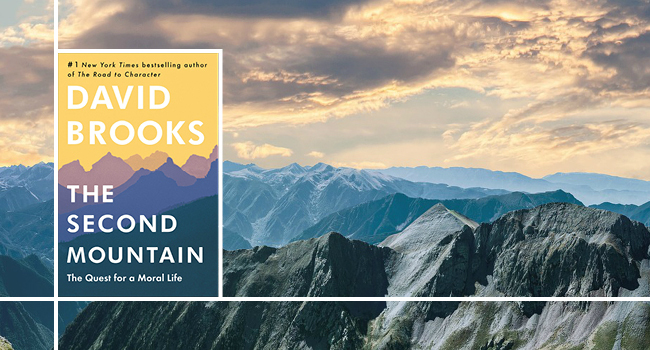 The Second Mountain by New York Times columnist David Brooks is a thought-provoking commentary on the rampant individualism that has become the defining ethos of our culture. Brooks has spent more than five years thinking about how to give life meaning after worldly success failed to fulfill him. He describes a life defined by two mountains. The first mountain an individual face is about building up the ego, defining the self, and striving for success; the second mountain is about shedding the ego, planting yourself amid those who need, and giving yourself away. This new book is the product of Brooks’ personal quest for a joyful life. -Courtesy of the Dallas Museum of Art’s Arts & Letters Live.